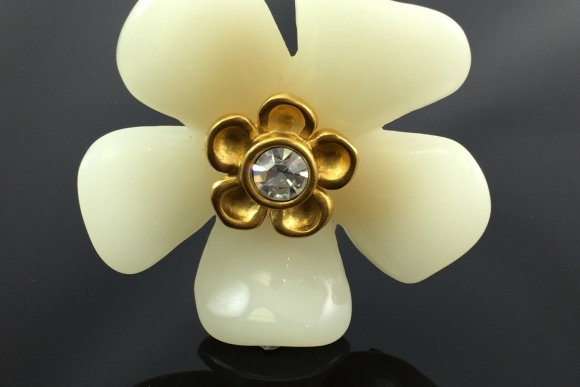 This exquisite vintage Givenchy flower brooch, in creamy white lucite, is couture designer signed. 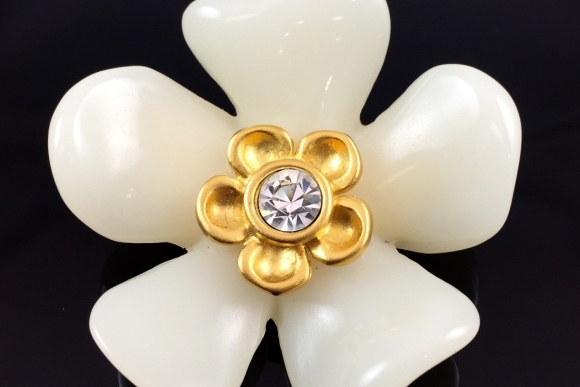 Centered with a round crystal rhinestone in gold plated metal, this floral pin with its five petals resembles an antique single petaled rose, an ideal fifteenth anniversary flower gift. 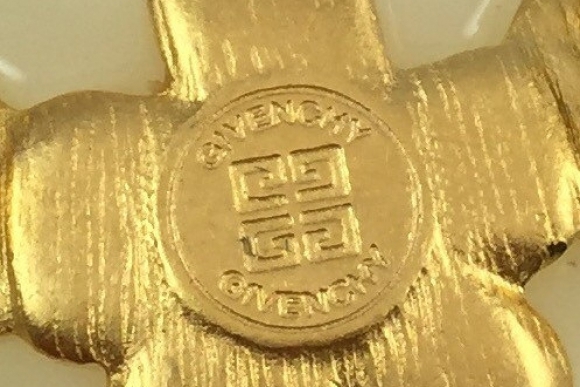 The back of the brooch has a round cartouche stamped with the Givenchy logo. 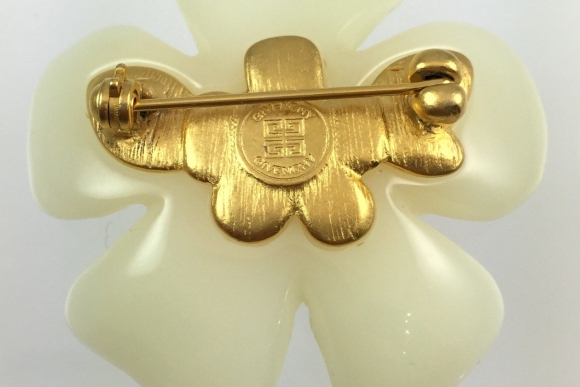 This is a rare and hard to find Givenchy brooch. 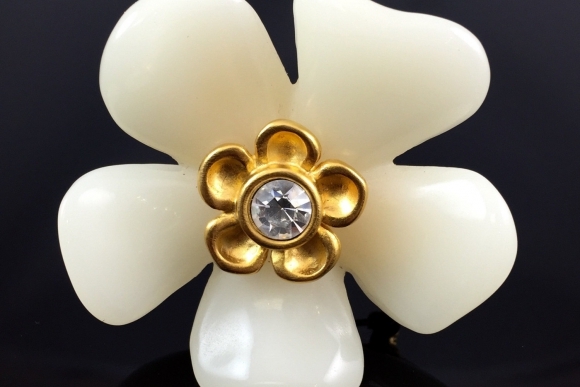 Measures 1.75 in diameter. Very good condition.